By John Nestler, via Five Ten. 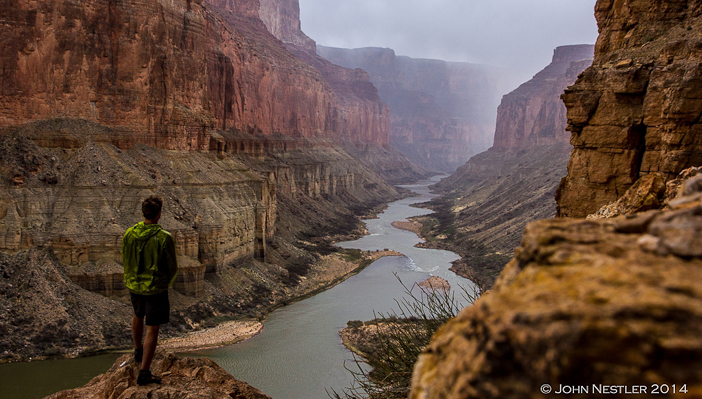 Feeling small – that’s what we crave. 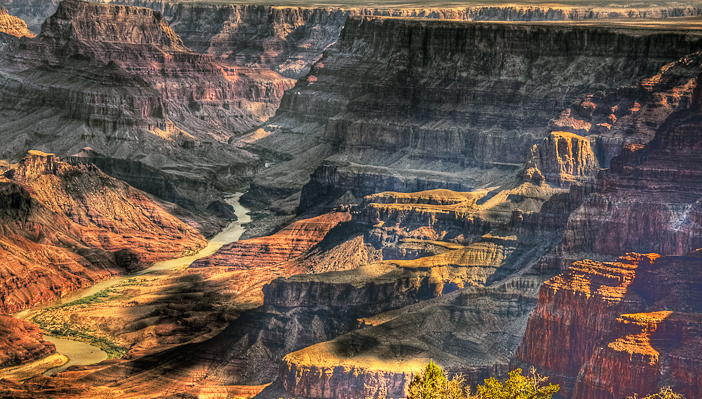 Nearly every soloist I talked to mentioned seeking this feeling while paddling the Grand Canyon of the Colorado. The comforts of the modern world protect us and cushion against challenges, so we return to the natural world to experience forces far greater than us. It’s difficult not to feel like an insignificant blip in the timeline when you’re surrounded by over a billion years of geologic history, but the beauty is intoxicating, the rapids have personality, and I was ready for the Canyon to teach me. John Nestler looking downstream from Nankoweap. Photo by John Nestler/courtesy Five Ten. Ten days earlier, in late January, I crammed food and winter gear into my kayak at Lee’s Ferry and pushed off to begin a 27-day solo, self-support kayak adventure down 280 miles of the Colorado River. I had no expectations, rather I knew that if I paid close attention the journey would provide insight to who I really am, and I might possibly come away with a new perspective on this game we call Life. I chose to solo the Canyon to distill the experience. It was just the river and me, and I knew that I would be the sole person responsible for consequences born from my decisions. 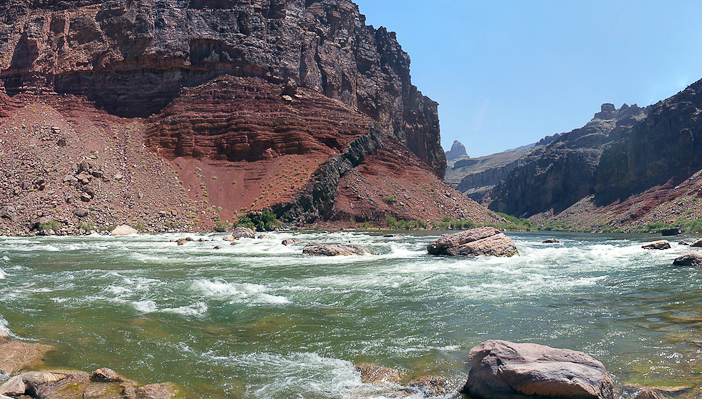 The whitewater of the Grand Canyon was well within my abilities, yet being alone in the wilderness for an extended timescale certainly opened up a certain level of risk. The river wasn’t my main worry though; in many ways the side hikes carry a greater danger than the river itself. At least that’s how I felt until I arrived at Hance. I glanced up from the river and watched in awe as the rocks on the bank adopted a wavy-appearance. Am I that exhausted? I had been staring at the frothing river so long, searching for that perfect line that my brain just couldn’t process static images properly. I was nervous as well, too nervous considering I wouldn’t have given this rapid a second thought when surrounded by my friends. I had pulled up at Hance a few minutes earlier and walked up and down the bank to scout out a maze of hydraulics, crashing waves, and boulders all dispersed over a half-mile section of river. “Don’t be a hero.” That’s what my brother told me before I launched. Should I take the sneak line? It looked so attractive – bony, but very doable in a plastic kayak. I knew I wasn’t on this river to sneak the rapids; that wasn’t the experience I was craving. Instead, far across the river I saw a tongue of green water surging between two crashing holes. I knew the line was there, but it was so far across the river, nearly on the other bank. I just couldn’t quite make out all the features. Exposed. Vulnerable. Never had I felt emotions of this magnitude before. After quickly visualizing the line one last time I got back into my tank of a kayak, splashed the cold, green water of the Colorado over my face, paddled to the opposite side of the river, turned downstream, and took a stroke into the entrance. My body tensed up as a wave threw my bow off line. “10 feet from the bank!” I kept repeating, as I struggled to pull it back straight. I jetted between the two thundering holes, and powered left to avoid a crashing wave before straightening out a few hundred yards downstream. Satisfaction gripped my body as I realized I nailed the line. Certainly not the smoothest paddling, but I had made it, and I knew this was just the beginning of a trip that would teach me more than I could have ever expected. Reblogged from Five Ten. More about Nestler’s trip here.